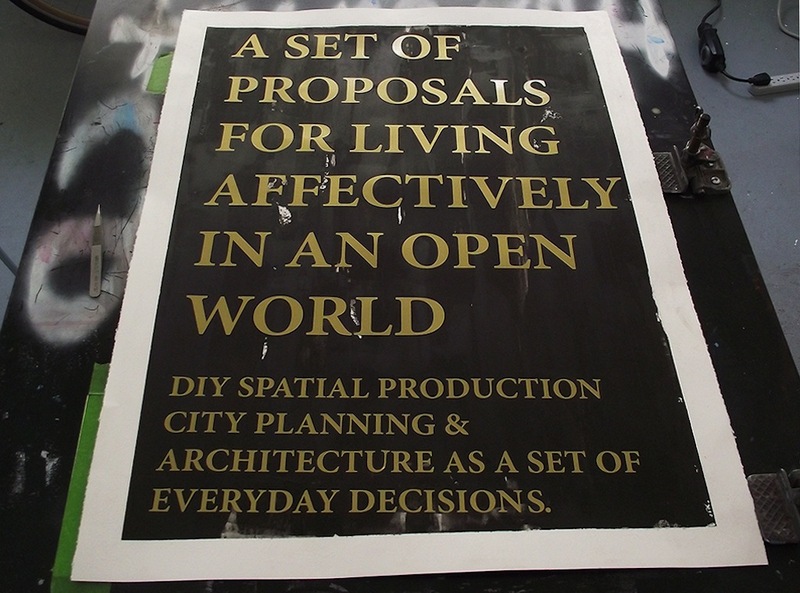 Today we’re working through a few poster designs for A Set of Proposals for Living Affectively in an Open World using gold vinyl on a previously hand-painted black background. Previous PostPrevious Silkscreen Power with Mary Tremonte: This Tuesday, 4pm at Civic Space! Next PostNext Working on a new #brokencitylab poster series!